From the folk and gospel-influenced songs that reflect the sentiments of the 1963 Civil Rights Movement to the hip-hop anthems recognizing that Black Lives Matter, music has always supported and strengthened outcries for social justice. 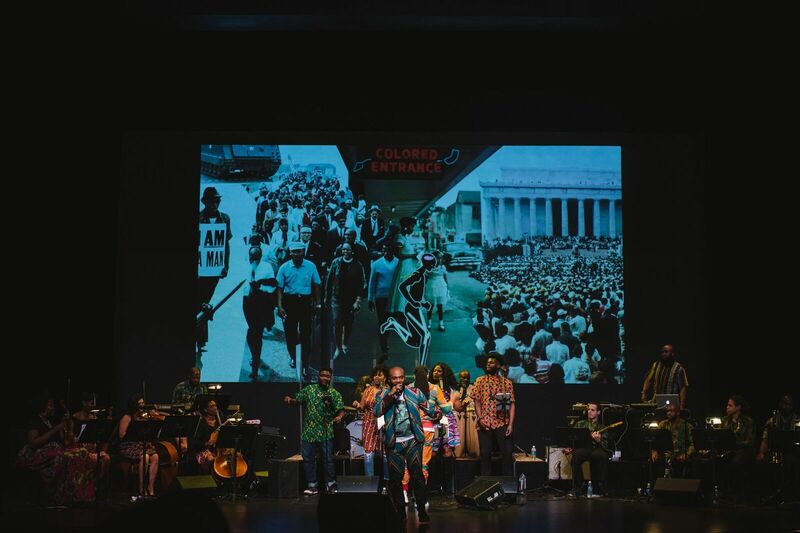 Created by the brilliant minds of Soul Science Lab, Soundtrack ’63 is a live, multimedia musical performance that traces the African American experience from before the Middle Passage to the present Black Lives Matter movement. Archival video footage, animation, and narration are combined with a live soundtrack of spirituals, protest songs, and popular music performed by an 11-piece orchestra and dynamic vocal ensemble.